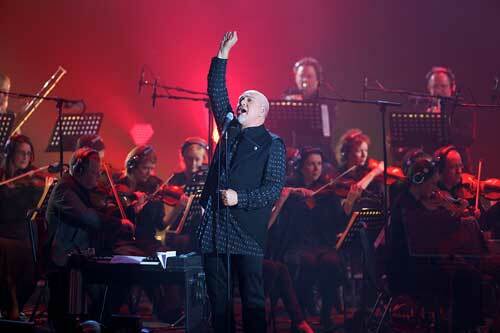 Peter Gabriel puts on a really big show in New Blood, Live in London. Peter Gabriel: New Blood, Live in London was filmed at the Hammersmith Apollo in March of 2011, with the singer accompanied by the 46-piece New Blood Orchestra. The live concert show finds Gabriel using fresh and offbeat arrangements for many of the 22 songs included. The set is culled from both his 2010 album Scratch My Back and his lengthy catalog of numbers that spans nearly four decades. Bonus features on the DVD and Blu-ray editions include a behind-the-scenes featurette on the making of the “New Blood” concert.